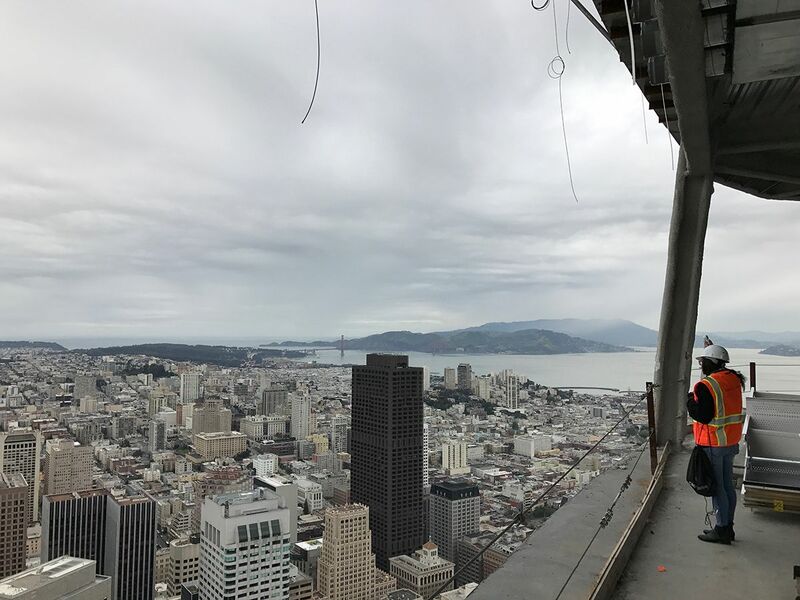 The space includes living plant columns, a coffee bar, a catering kitchen, and 360-degree views of the city and the Bay. (I visited the tower when it was still under construction and rode up to this floor in a rickety construction elevator to bring you some photos back in 2017, a couple of which are below.) There are also nine skylights that give visitors a view into the upper area that houses that projected artwork you see light up on the crown of the building every night. The tours run once a month, four times per day, with 100 people per group, though perhaps they will run more often when the new batch of reservations gets released next month? You'll need to check back here and/or follow Salesforce on Twitter to know when to jump on a res. "When we designed the floor, we always wanted to include the community," says a Salesforce spokesperson to the Business Times. But is 400 people a month really "the community"? Salesforce itself occupies 36 floors on the lower end of the building, as well as this top floor. Real estate firm CBRE lives on Floors 45-46, and Accenture just opened its "innovation hub" on Floors 31-35. 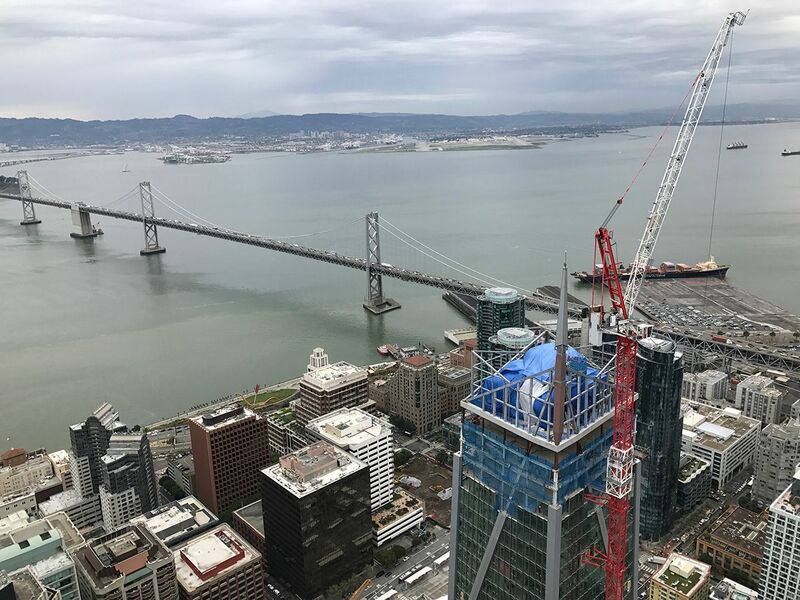 Another way to take in the views, albeit from lower floors, would be to visit the WeWork offices on the 37th floor. But you'd need to know someone who's doing business out of there. About 100 people rented small offices on the floor, which are going for top-of-the-line WeWork rates of around $1800/month. Those opened up in January after selling out in rapid succession.